In one of the bloodiest-ever terror attacks in Pakistan, Taliban militants mercilessly killed at least 141 people, including 132 children and nine staff members of the Army Public School and College in Peshawar, on December 16, this year. According to witnesses, the six militants went from classroom to classroom, shooting children, and burnt a lady teacher alive, forcing the students to watch it. After eight hours operation, Pak Army’s commandos cleared the school area, and six militants were killed. On the same day, Tehreek-e-Taliban Pakistan (TTP) claimed responsibility for the ghastly act at Peshawar school. Taking this major terror assault as our 9/11, an attack on Pakistan’s future, its young sons and daughters, nation observed three-day mourning, while businesses remained closed in various cities of the country. The members of civil societies and academic institutes hold special prayers to remember the young victims of the atrocious terror attack. 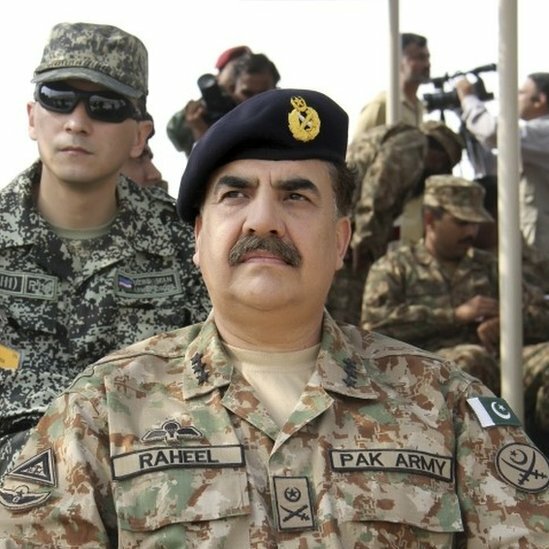 Besides condemnation by the foreign rulers and prominent figures, Pakistan’s Prime Minister Nawaz Sharif, Chief of Army Staff, Gen. Raheel Sharif and leader of the Opposition, Khursheed Shah including those of various political and religious parties strongly condemned the heinous attack at the Peshawar school. PTI Chief Imran Khan called off the December 18 countrywide shutdown, and also decided to cooperate with the government against terrorism. However, after this inhuman gruesome tragedy, question arises as to what measures require to eliminate terrorism from the country. In this regard, some steps have already been taken, while some needs to be implemented in its true spirit. In this context, Army Chief Gen. Raheel accompanied by DG ISI rushed to Kabul on December 17. Resources suggest that during his meeting with his Afghan counterpart and Afghan President Ashraf Ghani as well as the ISAF commander, he presented evidence of the Peshawar massacre’s linkage with TTP sanctuaries in Afghan provinces of Kunar and Nuristan. He also asked the extradition of Mullah Fazlluah, and handing over to Pakistan. In response, Afghan rulers and ISAF commander assured him to take action against the TTP. Nevertheless, new Afghan regime must take cognizance of the fact that Afghanistan is responsible for terrorists’ penetration into Pakistan. Since April, 2011, some 200 to 400 heavily-armed militants from Afghanistan’s side entered Pakistan’s region, from time to time, and targeted the security check posts, civil and military infrastructure of the tribal areas. So far, these terrorists have killed several personnel of Pakistan’s security forces. In fact, Afghanistan has become a hub of anti-Pakistan activities from where external secret agencies, especially Indian RAW are sending logistic support to Baloch separatist elements and TTP insurgents in Pakistan. Posing themselves as Pakistani Taliban, these enemies have joined TTP and other banned extremist outfits. In the recent years, especially TTP’s insurgents and its affiliated banned groups conducted many terror-activities in various regions of the country like suicide attacks, ruthless beheadings of tribesmen, assaults on security personnel and prominent figures including Shias, Ahmadis, Sufis, Christians and Sikhs as part of the scheme to create chaotic situation in the country. It is notable that huge numbers of Afghan refuges have taken shelter in Pakistan, and some of them are also suspected to be involved in terror-activities. Therefore, Afghan refugees must immediately be sent back to Afghanistan. In the aftermath of the Peshawar school attack, there arose the need of immediate execution of outstanding cases of death penalty to terrorists. In this respect, it is good sign that Prime Minister Nawaz Sharif revoked the ban on capital punishment in terrorism cases following which the terrorists facing death penalty could be executed. The nation also expects that politicians should show no politics on the blood of innocent children. For the purpose, leaders of all the top political parties including PTI Chief Imran Khan attended a meeting of the parliamentary parties convened by Prime Minister Nawaz Sharif to discuss the situation after the deadly attack at a school in Peshawar. Setting aside his differences, Imran Khan ended PTI’s 126-day sit-in at Islamabad to give a clear message that the whole nation stands united against terrorism. However, all the leaders pledged to eliminate menace of terrorism, and it has been unanimously decided to form a parliamentary committee to chalk out a “Plan of Action” in seven days which would be approved by the political and military leadership. Some analysts opine that like the previous anti-terrorism legislation or law, the Action Plan will not be implemented in its true letter and spirit. And the government needs the emergency which means ‘National Emergency’ to fight this menace on war footing, and not ‘Declared Extra Constitutional Emergency.’ They also say that if huge funds are available for motorway and other similar projects as to why not for law-enforcing and intelligence agencies which are fighting against the militants. So the security agencies including Police must be upgraded. Besides, media should be sensitized to play its due role in the fight against terrorism. It must be on low profile to avoid national demoralization, as careful reporting by media without glorifying terrorist acts is need of the hour. For the purpose, extremist people like Maulana Abdul Aziz (Lal Masjid) and Hafiz Saeed may not be given undue space by the media. Undoubtedly, in our country, the victims of terror attacks and suicide bombings have been innocent men, women and children. Their families mourn and raise a question asking for what crime their loved ones were punished in a way. Regrettably, those entities which try to justify terrorism and suicide bombings in the name of Islam are misguiding the people. In this context, while taking note of terrorists’ suicide attacks in Middle East and Pakistan, Saudi Arabia’s grand mufti (Mufti-e-Azam),Sheikh Abdul Aziz bin Abdullah al-Sheikh issued a Fatwa (Religious verdict), asserting that suicide attacks are illegal and illegitimate (HARAM).” He explained, “Such acts fall under the category of crime and suicide bombers or terrorists represent an adversary of Islam and enemy of Muslims…they commit crimes against humanity, while misguiding other Muslims.” Denouncing terrorism as un-Islamic, he pointed out that terrorists’ activities are part of a conspiracy to defame Islam and destroy Muslims. Islam considers killing one innocent person equal to murdering the entire humanity, while Jihad is a sacred obligation, but its real spirit needs to be understood clearly, as murdering innocent women and children is not Jihad. These foreign-backed Taliban, particularly of the TTP and their banned affiliated groups are defaming Islam and are weakening Pakistan. As regards terrorism, Pakistan’s Armed Forces have almost defeated the ferocious terrorists, particularly of the TTP by clearing the areas of North Waziristan Agency by military operation Zarb-e-Azb which is rapidly achieving its objectives. Although the operation has full support of the civil government, opposition parties, Ulema and media including all other segments of society and general masses who are united against terrorism, yet they need to display practical unity against these zealots who seek to create anarchy in the country to accomplish their self-motivated agenda at the direction of Pakistan’s enemies. Nonetheless, the mass murder of children at Peshawar school is a manifestation of the most barbaric face of the Taliban insurgency led by TTP. While taking solid measures, the government must employ a comprehensive strategy to eliminate terrorism. In this regard, counter-terrorism strategy or the Action Plan must be enacted and implemented without losing more time. And, this different war needs unified front of all the segments of society, which is essential to defeat the ruthless enemy of Pakistan including their external agents. Writing on Pakistan’s politics is beginning to be a tedious affair . It is a play that has no plot , no beginning and no end . No excitement from the drab and dreary humdrum of everyday life . Winning or losing , the same old , tired and worn out faces are to be seen adorning the newspapers or the TV Channels . Even the daily newspapers are pictures of the gloomy atmosphere . Each political party is a fiefdom of its own where the fiat of big or petty ‘monarch’ is abided by or else the defiant ones are crushed . There is no notion of shadow governments or shadow cabinets . That is a play that is going on since Mr. Jinnah departed from the scene in 1948 . Talking about reforms is an illusion . Imagine a scene in which you are trying to sleep during the day and a bird flits and begins to sing . Whatever you do to make it fly away turns out to be futile . You are really mad at the innocent creature . The world is seeing the discomfiture of the present Government . It is standing static unable to drive the ghosts of Imran Khan and Taher ul Qadri . It has been reduce to a passive mode , a reaction mode . Meanwhile the two are making further inroads into the interior of the country , into the cities and into various communities or eg . farmers , workers none the less equipped legally to which the Government has no answer except to hurl abuses at them . “ Never trust the wisdom of a slave “ is an oft quoted advice perhaps by Hazrat Ali ( May Allah be pleased with him) . Here I reproduce an incident about which I wrote in my article “ Buttering “ . In a meeting held in Islamabad , a participant referred to the department’s newly announced policy and also to the Battle of Badr ,which was fought on 17th Ramazan and in which the Muslims were victorious by the Grace of Allah . He said , addressing the boss ,that the Battle of Badr was fought on 17thRamazan and he( the boss) announced the country’s policy on 17th Ramazan . All the participants were dumbfounded at his audacity . Thus Pakistan has been caught at a vortex . Democracy in its present shape has failed in Pakistan . It has never delivered however its supporters otherwise claim . It suits the robber barons , the landed aristocracy, the major and small capitalists who plunder the exchequer and exploit the under privileged ones . There was a time when twenty two families used to hold sway in the country . The twenty two have swelled to much more . During my four months stay in an European city forty years back, a man who had features like a Pakistani or an Indian , used to cross my path both mornings and evenings . One day , I stopped him to question about his nationality . His reply “ does it matter “ put me off . He repeated his observation and went on to say that when the purpose of making Pakistan could not be fulfilled , it did not matter whether I was a Pakistani or an Indian . A solid advantage has been achieved by the fifty two day sit in by the duo of Imran Khan and Taher ul Qadri . Apart from being unique in the 67 years history of Pakistan and , perhaps the world over , the rest of the major political parties were clean bowled , the batsmen could only gape in awe . Never in the history of this unfortunate land , they met their equals who badly exposed them , disrobed them and shown the rest of the people what they actually were by using the facilities of telecasting their views provided by an army general , Pervez Musharraf . They robbed the common people of their Fundamental Rights enshrined in the Constitution . You may not like Imran Khan and Dr. Qadri . But it is difficult to disagree whatever they had to say because both Imran and Dr. Qadri were speaking of the basic rights and the Constitution . And it was last year when the latter held a five day sit in in Islamabad to emphasize the futility of participating in the elections unless all candidates were screened through Articles 62 and 63 of the Constitution . The ‘independent’ Election Commission of Pakistan has lost its trust from the rigged elections between Field Marshal Ayub Khan , the President ,and Mohtarma Fatima Jinnah , the sister of the Founder of Pakistan and onwards . Henceforth , it was viewed as another arm of the Government . The 18th Amendment to the Constitution did not remove the impression . On the contrary , the reconstituted Commission was viewed as a part of the Charter of Democracy signed by Mrs . Benazir Bhutto , the leader of the Peoples Party , and Mian Nawaz Sharif , the leader of the Pakistan Muslim League in London during the “ oppressive days of the dictator , General Musharraf“ . Both the Government and the people are confused and lacking in direction . We are rotten to the core horizontally and vertically ie from the top to the bottom . Army intervention is not a permanent solution as we have seen in the past . It breeds many evils for eg. flight of capital . Even then some well meaning people are suggesting a government of the Technocrats under the army’s umbrella to replace the current government and cleanse the entire society . This experiment has been tried by every military regime . Ayub Khan screened out 72 bureaucrats , General Yahya Khan 303 and Zulfiqar Ali Bhutto 1300 . Some of the screened out officers were not corrupt . To cleanse the society of ills , the Hadood Ordinance was introduced but never used after General Zia , the President , died . There is talk of mid term polls in the country . The present government is unwilling to resign and call for fresh elections . However , if it does , which Election Commission would be willing to undertake the task when the present one failed to hold free and fair elections the task of that Statutory organization . In its “ Post Election Review Report on General Elections 2013 “ , the Commission admitted its failure . Under the 18th Amendment , the leader of the House i.e. the Prime Minister , and the leader of the Opposition in the National Assembly are supposed to choose of the Chairman of the Election Commission . But the experiment failed in the previous elections and with both the leader of the House and the leader of the opposition under clouds . Both Imran Khan and Dr. Qadri and their supporters will no longer trust them . Pakistan is ripe for constitutional ( Fundamental Rights and Articles 62 and 63 ) and social reforms without which any elections will be meaningless . “ Contrary to general perception, I believe the long march and the dharna by PTI, in particular, highlighted bad governance in Pakistan. 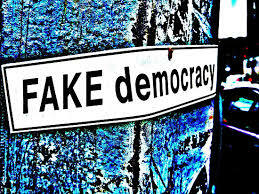 Look at the foreign media and you will find that there is only passing reference to rigging allegations and the allegation on military to have backed Imran Khan and Tahir-ul-Qadri but there is tremendous focus on the way Nawaz Sharif governs, the Sharifs’ dynastic politics and the PMLN’s performance since last elections. The domestic media have been more focused on rigging allegations but bad governance also remained in focus “. Feudals and Industrialist Politicians are gods of Pakistan. They have decided to destroy the country by stealing from the 190 million poor. They are good at it and no one can touch them. The reason being, that their god is ready to rescue them. It is the only global power and these guys are having a ball playing in its lap. Their god, comes to their rescue instantly, whenever their fiefdoms are threatened. Their lord is the most powerful nation on this earth.They can kill and get away with it. Sikander Jatoi, a feudal, even in jail is enjoying “A’ Class. He is the blue eyed boy of his Zardari Sain, who told him to hang in there, till the Shahzeb Murder storm dies down and memories fade. Then Zardari will do his magic . 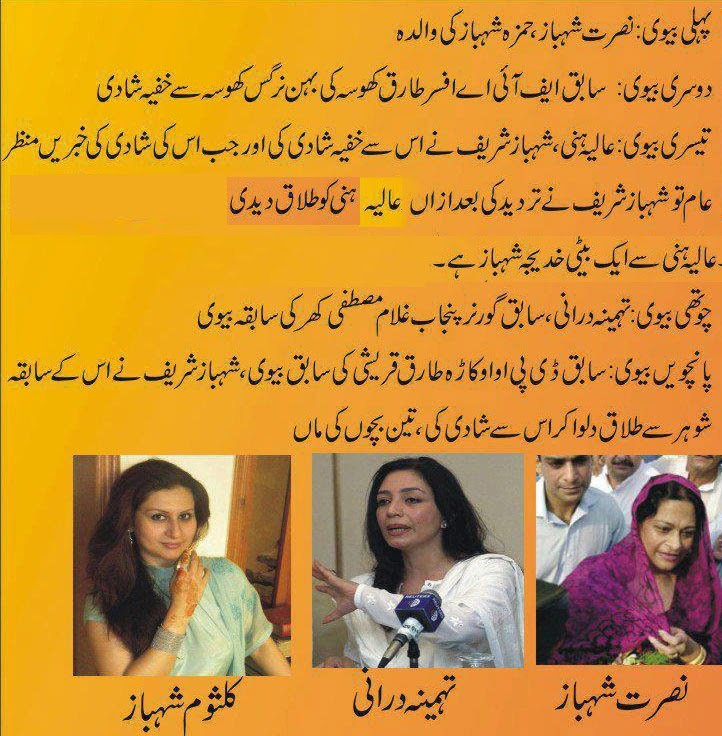 Sain Sikander Jatoi will be sprung from jail, by his mentor Zardari. Sikander Jatoi and his son, Shahrukh Jatoi will lead lives of luxury, protected by their god, Zardari. Pakistanis are committing shirk, by letting these mere mortals like Zardari, Pervez Ashraf, Sikander Jatoi, and the rural khachar like Asif Pervez Kiyani continue their misrule of a nation with a great potential. These thieves are holding Pakistan hostage,only an Act of God, can free this hijacked nation. 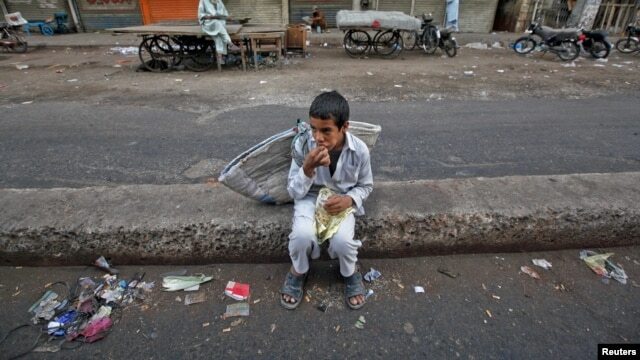 Pakistan’s poor are becoming slaves and indentured for life, NO ONE CAN STOP THIS TRAVESTY OF HUMAN LAWS. THE CORRUPT PAKISTAN JUDICIARY IS SILENT, EVEN AFTER THE OUSTER OF ITS MOST EGREGIOUS MEMBER, IFTIKHAR CHAUDHRY, A TOUT OF NAWAZ SHARIF. Two woven rope beds are wedged into one side of the room next to Sadiq’s small Honda motorcycle and a large bag of cow chips used as fuel for fires. A faded Bollywood action movie poster hanging from the hut’s weathered front door serves as the home’s only decoration. Exhausted, Shahzad and Shahbaz flop onto their beds. They have no toys, no diversions, but it doesn’t matter. They’re too tired to play. Brick makers and others live a life of indentured servitude known as bonded labor. MULTAN, Pakistan – The mounds of clay are so heavy that they have warped Shahbaz’s creaky wooden cart. The 10-year-old boy’s spindly arms struggle with the weight, about 45 pounds. He teeters as he wheels cartload after cartload to his mother, a waifish woman crouched on the ground who is turning the wet clay into bricks at a rate of three per minute. A few feet away, 12-year-old Shahzad matches his mother brick for brick. Without the help of the two boys, their daily brick yield wouldn’t be high enough to feed a family of seven. “I hate this,” says the mother, Nazira Bibi, slapping a clod of mud into the brick mold and flipping it over with a thump. “I hate the fact that my kids have to do this work, that they’re not in school. When I see other kids going to school, I wish my kids were those kids.” “But we’ve got no choice. If we don’t work, we don’t eat. ” The Pakistani Taliban’s brutal attack on teenage education activist Malala Yousafzai provided the world a window on the insurgent group’s long-running campaign against “un-Islamic” schools in the country’s northwest. But in much of the rest of the country, one of the most entrenched barriers to education comes from moneyed landowners, brick kiln operators, carpet makers and other business people who rely on a form of indentured servitude known as bonded labor. Among the victims are millions of children such as Shahbaz and Shahzad, who cannot read or write and are likely to spend the rest of their lives tethered to debt they inherited – and can never repay. In Punjab province, bonded labor is a way of life at thousands of brick kilns that for generations have ensnared workers in a hopeless cycle of loans and advances. The workers don’t earn enough to survive, so they’re forced to accept loans from the kiln owners. The meager pay keeps them from being able to repay the loans. When they die, the debt is passed on to their children. From the brick kilns and tanneries of the Punjab heartland to the cotton fields of the southern province of Sindh, millions are doomed to bonded labor. Kashif Bajeer, secretary of Pakistan’s National Coalition Against Bonded Labor, says there are no statistics on bonded laborers in Pakistan, but most estimates put the number at up to 8 million. Pakistan officially outlawed bonded labor in 1992, but enforcement has been almost nonexistent in the face of the financial and political clout wielded by southern Pakistan’s wealthy landlords and kiln owners, who provide payoffs to keep police and administrative officials at bay. 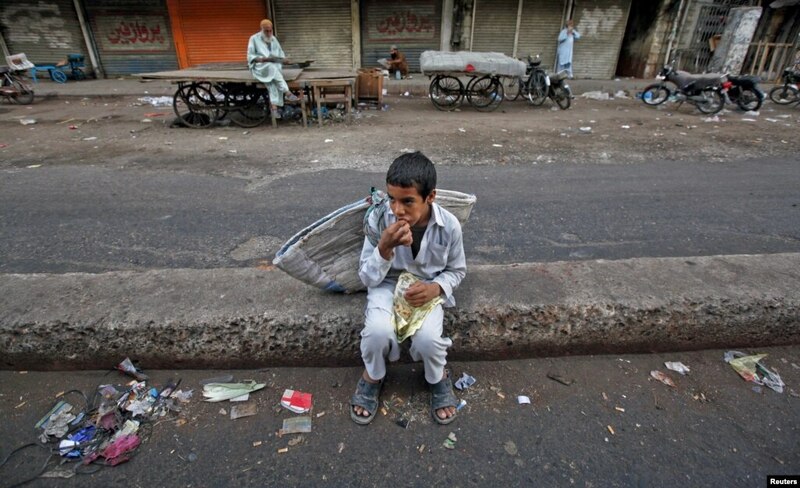 Bajeer estimates that 70% of bonded laborers in Pakistan are children, few of whom attend school. Pilot projects in eastern Punjab province have put children from 8,000 kiln families into classrooms, but those efforts have yet to be expanded to the rest of the province. “The government is supposed to provide schooling to these children, but it doesn’t take the issue seriously,” Bajeer says. “Most parents in bonded labor don’t have national ID cards, and so they don’t have the right to vote. And because of that, they are not a big priority for local lawmakers.” Many bonded laborers live in impoverished regions where few people obtain birth certificates, which are required for a national ID card. At the kiln where Bibi, 30, and her boys work, the acrid odor of chemicals from a fertilizer plant next door hangs over a dirt field where dozens of families toil amid the ceaseless clapping of brick molds as they hit the ground. Bibi’s husband, Mohammed Sadiq, also 30, readies the day’s supply of trucked-in clay by adding buckets of water and trudging through it to knead it into the right consistency. Life at a brick kiln is all Bibi and her husband have ever known. Both are children of kiln laborers; Bibi began working at a kiln when she was 10, Sadiq when he was 12. Their debt to kiln owner Akram Arain built up shortly after they got married more than a decade ago. They took out a loan to pay for their wedding, more loans to pay for the births of their five children, and still more to get through the annual monsoons, when kiln work shuts down and no one gets paid. Arain declined a request for an interview. Their current debt stands at 20,000 rupees – about $200, but to Bibi and Sadiq it might as well be $2 million. The family gets 500 rupees, about $5, for every 1,000 bricks it produces. That’s about $7.50 for a grueling eight hours of work. At midday, the family sits together for a few minutes to eat what usually serves as its lunch: a few fist-sized plastic bags of boiled orange lentils and a small wheel of bread. Shahzad and Shahbaz gulp down their lunch and get back to work. As he churns out bricks, Shahzad’s thoughts wander. He daydreams about playing cricket, or anything else to get his mind off the kiln. “Right now, I’m thinking about being far away from here,” Shahzad says, wiping a fleck of mud from his cheek. “Sometimes I dream about studying. I think about these things all the time.” Shahzad is tall for his age, with a wiry frame and jet-black hair that falls over his forehead. He is his father’s right-hand man, never needing a nudge or a rebuke to keep pace with the rhythm of the brick-making. When the wheel on his younger brother’s wooden cart gets wobbly, Shahzad fixes it in seconds. The kiln field is filled with mothers, fathers, sons and daughters squatting as they churn out new rows of gray bricks alongside ever-growing stacks of drying bricks. Only a small cluster of white egrets wading through a small pond at the kiln breaks the monotony of the landscape. If Shahzad were in school, he would be in the seventh grade. A government teacher is supposed to show up at the kiln to run a classroom in a tiny mud hut, but she appears so sporadically that most parents have stopped bothering to send their children. Shahzad can write his name but nothing else. He can count to 10 in Urdu and no higher. His younger brother, Shahbaz, winces when asked what two plus two is. He thinks for a moment, then shrugs. “I can’t do it.” Both boys know education is their way out of life at the kiln. They just don’t know how they can make it happen. “I want to go to school; I want an education to get a good job and to make something of myself, to be a respected man,” Shahzad says. “Maybe I can be a doctor. Even an office job would be fine.” As the day wears on, a dull ache creeps into the boys’ shoulders, arms and knees. The tedium wears on everyone. Nearby an argument breaks out between two families over who has the rights to a small pile of mud behind a reedy ditch. Sadiq and Bibi’s youngest, a toddler named Komal, sleeps on a bed of bricks, a small shawl shielding her face from the hot sun. Though Komal is a year old, she could fit into a shoe box. Her hands and feet are not much bigger than those of a newborn. Sadiq is convinced that Komal is undersized because she is possessed by demons, but Hyacinth Peter, a Multan-based child welfare activist who works on improving conditions for families at the kiln, says the child is severely malnourished. “She’s had so many fevers,” Peter says. “Her father has taken her to phony street doctors, and of course they don’t help at all.” By midafternoon, Bibi, Sadiq and their children are spent. A thick black plume spews out of the kiln’s smokestack, where everything from used motor oil to discarded plastic sandals are used as fuel to dry newly formed batches of bricks. Shahzad moves slowly as he digs out a new mound of clay, splashes buckets of water on top and begins trudging through the mound to make tomorrow’s mud. Sadiq and Bibi are slapping down the last of the day’s tally of bricks. As a bracing wind chills the air, the family tosses shovels and brick molds into the wooden cart and heads to its home on the kiln compound: a dark, 11-by-11-foot hut, itself made of mud and bricks. Ashes from yesterday’s cooking lay piled on the hut’s dirt floor. 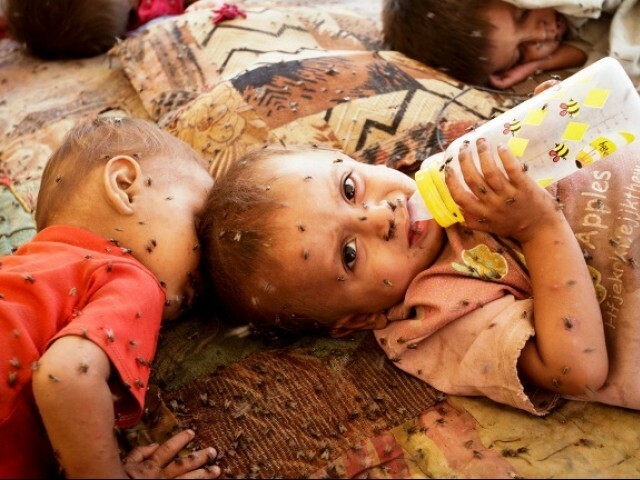 The family’s clothes are stuffed into plastic bags that hang from the mud walls. Two woven rope beds are wedged into one side of the room next to Sadiq’s small Honda motorcycle and a large bag of cow chips used as fuel for fires. A faded Bollywood action movie poster hanging from the hut’s weathered front door serves as the home’s only decoration. Exhausted, Shahzad and Shahbaz flop onto their beds. They have no toys, no diversions, but it doesn’t matter. They’re too tired to play.